Disappointment only comes with expectations. 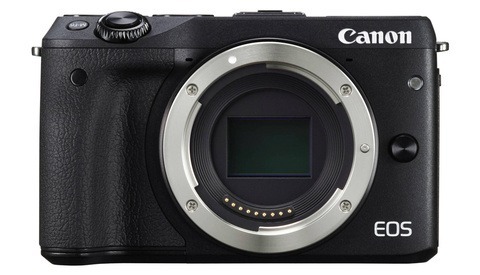 Fortunately, the leaked specifications of the Canon M50 published a few days ago on the internet prepared us for the worst. It’s beyond that. We were used to poor battery life with Sony cameras but Canon decided to join the race to the bottom with a certain success. The M50 will run out of power after only 235 pictures. At least Sony corrected this bad trend on the new A9 and A7 cameras. Announcing 4K video on this camera is misleading. The implementation of high-resolution video is only worth the value of the “4K” sticker on the box. With a crop factor of 1.6x (or 2.56x total crop relative to full-frame) the video mode is almost unusable. In respect to the full-frame field of view, a 22mm EF-M lens mounted on the M50 is equivalent to 56mm in 4K mode. Adding insult to the injury, Canon decided to disable the fantastic Dual Pixel Auto Focus when filming in 4K. Another missed opportunity for Canon to dominate the gimbal work sales. This light and compact camera would have been perfect for this type of job. Perhaps Canon is not able to deliver the technology because of the lack of power of its DIGIC processor? However, since most entry-level smartphones and GoPro knockoff can now deliver 4K, I would be inclined to blame the “Executive Crippling Department” at the company headquarter. Sadly, this service dominates the R&D and marketing teams of the Japanese firm. At $780, the M50 is not cheap, especially when examining the limited selection of native lenses. 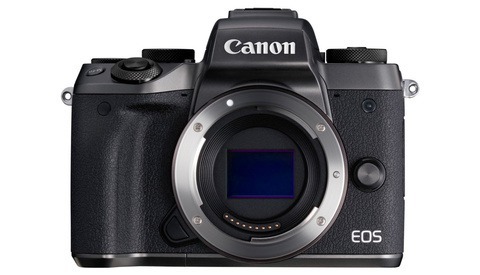 Six years after the introduction of its mirrorless segment, it seems that Canon never seriously considered the EF-M mount. Most of the seven lenses available today are slow zooms except for the unique 22mm f/2 prime lens. The poor battery life, the absence of usable 4K, and the lack of sensor stabilization which becomes the norm on most mirrorless cameras make it hard to recommend this product. Knowing the level of Canon's technology, the dynamic range of the M50 will probably lag behind the competition. Finally, there is nothing else to say about the uninspiring M50. On the DSLR front, Canon announced a “new” camera today; the 4000D, which is nothing more than a reheated 400D from 2008. Fun fact: the lens mount is made out of plastic. Who says Canon did not innovate? The fact of the crop factor doesn't make it fake. The Sony A6500 has a crop factor. Also just because the camera does have DPAF in 4k, doesn't mean it fake. "This light and compact camera would have been perfect for this type of job. Perhaps Canon is not able to deliver the technology because of the lack of power of its DIGIC processor? However, since most entry-level smartphones and GoPro knockoff can now deliver 4K"
All entry-level smartphones and gopros don't have inter-changeable lens. You need to come up better articles than this trash. Ooops. Canon fan boy got his feelings hurt. How do you know that he isn't just a GH5 fan who is defending the validity of cropped sensors? Or did you just want to insult someone? It has nothing to do with liking one brand more than another. Facts are facts. Seriously dude? Be honest with yourself. Yes, both the GH5 and the A6500 have crop factors, but they do utilize the entire sensor. They don't impose an additional crop factor on top of that to shoot 4k. This is misleading and makes it very difficult to achieve any wide shots since lenses are designed to over the entire sensor. Not just a section of it. Dual pixel auto focus is one of the biggest reasons Canon is still relevant in the video realm as far as DSLR video. A relevance which is already dangling by a thread. Without this, the only thing we have to hold on to is the Canon color. With these things combined, in my opinion, this makes 4k in this camera virtually unusable. Look man. Im a huge Canon fan myself. I constantly preach on usability and cherish my 5D III as the camera that started it all for me, but just be honest with yourself. How is there any value in this cameras 4K capabilities with so many better options out there? You're right. I can't believe that someone would call it "fake 4k" just because it has a cropped sensor and then later on in the very same article can think they can use cellphones and GroPros in the same argument. hahahaha I think that either Fstoppers hired the wrong writer or the editors should have said no to this article. It's true that it's not "fake 4K", but a 2.56x crop is pretty darn bad given that the lens range is built around a 1.6x crop. Good luck finding wide angle lenses for video. "Crop factor" is only applicable when you are using lenses from a larger format on a smaller format, or comparing the angles of view between formats. If you use a small format lens on a matching small format sensor there is no crop factor. Get that "crop" factor BS out of your mind. Crop factor is always in play on non-FF sensors. Focal lengths aren't advertised based on the sensor size they're made for. Despite being a matching "small format lens", that 22mm lens still has a has a 35mm FOV due to crop factor. Oh lawd... I strongly suggest that you learn a bit about these things (that means more than one format of photography) before you engage in conversations about cropping and what it actually means. Funny, since I've owned 1", m4/3, APS-C, and FF. The same lens looks different on each of them. 18.5, 25, 35, and 50 give roughly the same FOV mounted on their respective cameras. All equivalent to 50mm on FF. Go figure. Not equivalent. Similar. A 50mm lens is a 50mm lens. A 25mm lens is a 25mm lens. There is some maths in there that you need to acknowledge. The focal length of a 50mm lens remains the same at all times, however, the effective focal length changes according to the sensor size. On an APS-C sensor a 50mm lens becomes effectively a 75mm with its associated field of view. On a 4/3rds sensor it becomes effectively a 100mm lens with its associated field of view. This is true whether the lens was made for full frame or cropped sensor. So, although the focal length remains the same, its characteristics change according to which size sensor it is being used on. This is referred to as the crop factor. 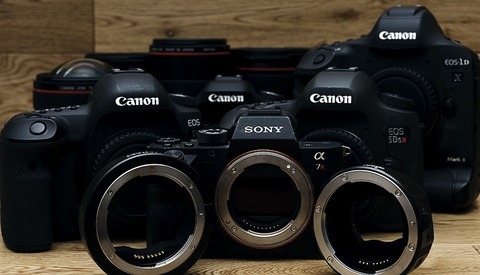 Whether a lens is made for FF or APS-c or micro 4/3rds refers to the lenses ability to cast an image size that will cover the whole of the intended sensor area. That's why a lot of Nikon "DX" lenses result in vignetting when used on a FF sensored camera. My friend, the only time a focal length of a lens changes is when you use a zoom lens. A 50mm lens is always a 50mm lens no matter what system you use it on. The internet perpetuated and totally unscientific (and pointless) practice of this so called “equivalence” between formats based on focal length is the quickest way of figuring out who actually knows what they are writing about and who is simply regurgitating nonsense they have read on forums and articles. If you know your format you don’t need to be concerned about focal lengths from a format you don’t use. Wide angle, normal and telephoto are the terms to use. Canon never mentions the crop and DPAF removal from the specifications list, this is misleading and dishonest, especially when they emphasis heavily about the 4K feature everywhere on their marketing materials. Imagine you buy this cameras in good faith for Vlogging only to discover the huge crop and lack of usable focus (after you heard all about its greatness on the internet). You would feel abused so I have no issue calling this fake. As for crop, it wouldn't necessary be a problem if Canon offered adequate lenses to deal with the crop. M43 cameras have plenty of lenses designed for the native 2x crop (eg. 12-35mm, 35-100mm, 7-14mm, etc.). The widest EF-M lens is 11mm (thus 28mm in 4K). There's a tipping point with crop factors, dude. Want to tell us that +2.5x isn't past it? Then don't buy it. Also don't buy the 4000D while you're at it, I guess? You guessed correctly, my 400D from 2008 still works great, no need to buy another one 10 years later with a plastic lens mount. Why do people care so much what Canon is making? It seems like the people who complain the most don't even shoot Canon. It's like complaining that Toyota cars don't drive themselves in 2018 when you own a Honda. I agree. It seems like a lot of people write articles about how gear doesn't really matter and then proceed to complain when Canon doesn't deliver perfect cameras. I shoot Canon and I'm fine with it. Easy, it's a just a click bait article. Most of these people have not used, nor are planning to buy, the articles they criticize just to get a reaction. 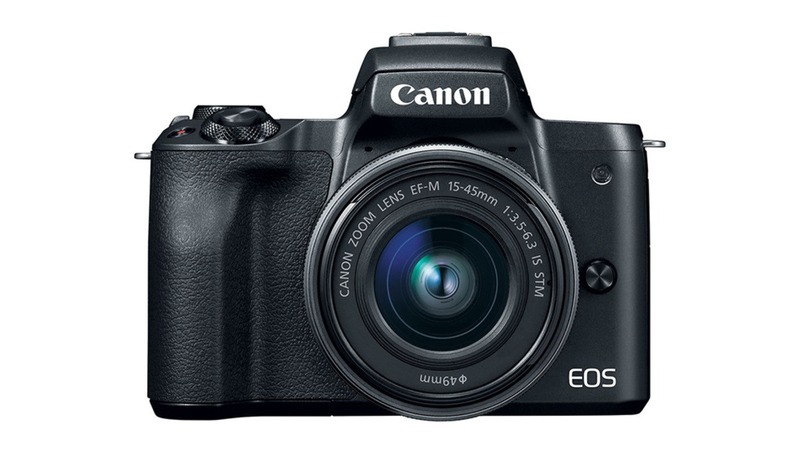 I wouldn't use or buy this camera, since it's 2015 tech at best at 2020 pricing. I myself don't shoot Canon, I shoot Sony, but I have so many Canon lenses (adapter) and really interested in switch to Canon mirrorless. Does it make sense to you now that there are people who don't shoot Canon but care about Canon making? This M50 and M5 earlier really disappoint and discourage me to buy actually. Yup, I was hopeful that Canon's new generation of sensors would bring something to the table that I could use my (growing) collection of EF lenses on natively. Sadly, it didn't. And I'm not even talking about DR. High ISO isn't even competitive. Alex Armitage People care so much because the only thing they get after spending big money on canon lenses is a middle finger from this company. Unlike cars, you can't switch between camera systems that easily (or you gonna loose money). I shoot Canon, I'm fine with it but I don't enjoy to see this level of non-sense. No one ask for a perfect camera, but I would appreciate if Canon could deliver something in line with the standards of 2018 without intentionally removing key features for the sake of it. Sergio Tello Next time I'll just copy/paste the content from the canon brochure and press kit. No mention of battery life, crop factor and lack of DPAF there. There's a lot of things that can't be put on a stat sheet though, many of those always get overlooked in this debate as well. Since 2008 with the 5DM2, Canon hasn't released the latest and greatest, best specs etc. It's always been behind when it comes to spec sheets. It's been 10 years. I don't see why anyone expects them to release something that's beating the market in stats, it's clear that isn't their focus. Canon benefits in other ways. Their lens line, like you mentioned. Color Science, DPAF, etc. To me, Canon is like Toyota. They release new stuff but it's never the flashiest with all the bells and whistles like Mercedes or Lexus. But it's more reliable and stable without cramming too much un tested gear into one product. Their lens line can be used by other brands with AF. Their color science can be duplicated in post. Sony's hybrid AF goes toe to toe with DPAF. Canon's plusses are running out. Fast. Their colour science can’t be duplicated in post otherwise you’d see D750 images that don’t feature orange-yellow leather people.